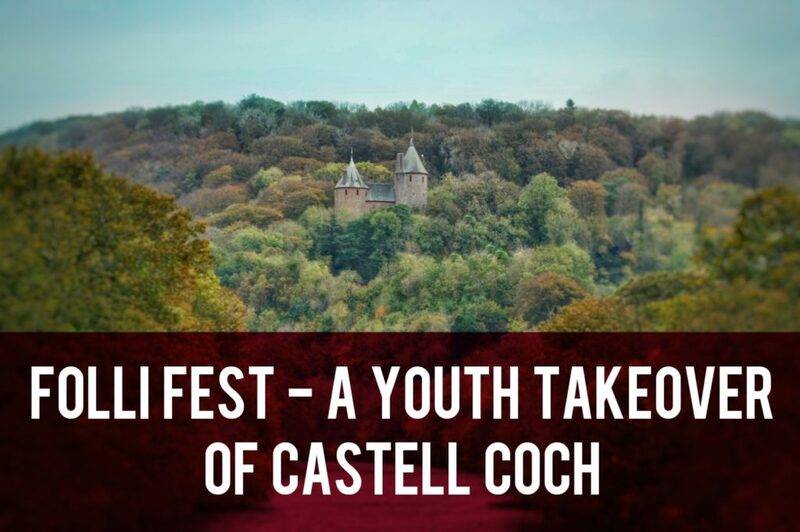 Folli Fest is a youth takeover of Castell Coch, featuring a line up of music, theatre, poetry, circus and installation art. The festival takes place on Friday 10th November and has been organised by Are You Lost Yet and Cardiff Youth Council. There are still some tickets left if you’re quick! The mainstage headliners are Dirty Alex, a hip-hop collective influenced by legends such as A Tribe Called Quest, The Roots and Miles Davis. Folli Fest is linking up with Radio Platform, a youth led online radio station based in the Wales Millennium Centre. Poet and radio host, Sarah McCreadie, is headlining the JUKE Open Mic stage. Other acts include Araby, Selena in the Chapel, Noah Bouchard, Builders of the Boat and Sparkle’s Hoop Troupe. Local resident and graffiti artist Unity is going to be working with young artists to produce work for display at the event. Unity has done loads of projects in the area and you’re bound to have seen her work. We’re trying to find a young journalist to cover the event for Tongwynlais.com. We’ve reached out the journalism training school in Cardiff University for help finding someone.